Although the ocean shipping industry has been established for a very long time, the logistical complications of ocean freight continue to evolve. 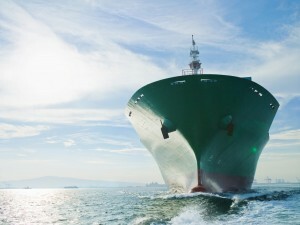 As shipping vessels become larger, cargo routes change, and new national and international regulations arise, there are many ways in which ocean shipping logistics can become unmanageable. This is why it is so important to work with a shipping partner who has deep experience with ocean freight and is able to allow your small- or medium-sized businesses to stay competitive with larger companies. At AFP Global Logistics, our 25 years in the shipping industry have given us the experience needed to be your trusted partner. Learn more in this week’s blog, below. When it comes to ocean freight, you need to work with an experienced logistical provider. When it comes to ocean shipping, there are many factors to consider that will have an impact on your final budget and timeline. When you work with AFP Global Logistics, we will analyze all aspects of the shipping process to ensure that we are able to find the best methods to ship your ocean cargo. Whether you require container, flat racks LCL, break bulk, or hazmat shipping, we can coordinate your shipment to reach virtually any destination according to your specifications. Whether your shipment originates domestically or abroad, we offer the option of door-to-door service that is made possible by our extensive international agent network. We can coordinate full container load cargo to any international port and we operate on every major continent. Thanks to our large network of partners, we are able to ensure smooth clearance and delivery to any destination around the world. To protect your goods in transit, we also offer competitive insurance rates. For an ocean shipping partner you can trust to get the job done right, trust the experts at AFP Global Logistics. If you have freight that requires ocean shipping, AFP Global Logistics is your trusted logistics partner. We provide a full range of ocean shipping logistics services, and with more than 25 years of experience in the business, we have the tools needed to tailor our logistic solutions to each and every individual customer. For more information or to start designing your own ocean shipping logistic solutions today, get in touch with AFP Global Logistics at 410.590.1234 (toll-free 800.274.1237), email us at info@afplus.com, or fill out our quick and easy contact form here! This entry was posted on Friday, April 1st, 2016	at 10:35 am	and is filed under International Shipping	. You can follow any responses to this entry through the RSS 2.0	feed. Both comments and pings are currently closed.